I love doing simple things around our house to make it feel more like OUR HOME. I often get my ideas perusing the web and reading various blogs, magazines I subscribe to, Pinterest, Houzz, etc. While reading through the Young House Love book, I discovered my love on page 320 where they put a vinyl decal on their front door. They decided to put their house number. However, I opted for something a little different. I purchased the vinyl decal from this Etsy shop. Don’t pay attention to the fact that I have no wreath currently hanging on my door or the fact that I desperately need to change out that light fixture. Here is another view from the road. See how well it shows up even from a distance. 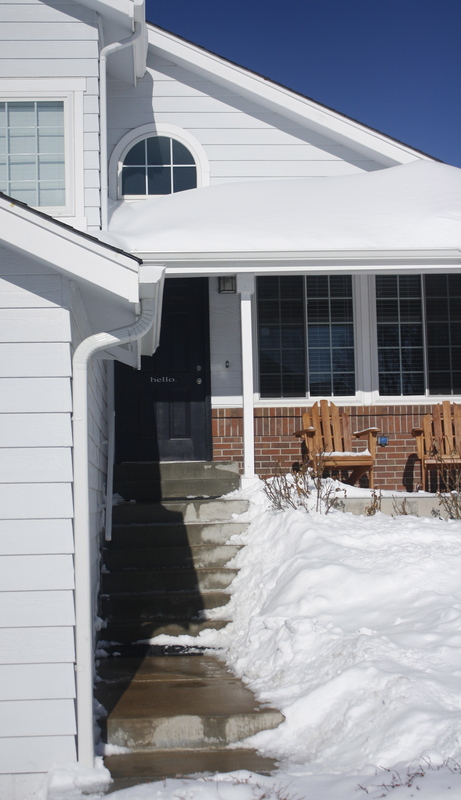 Looking up at that door when I am outdoors playing with my N and his friends, just makes me smile. The best part…it took a little less than $7 and about 15 mins out of my day. After all, sometimes it is just the little things… I hope it makes my visitors smile, as well. 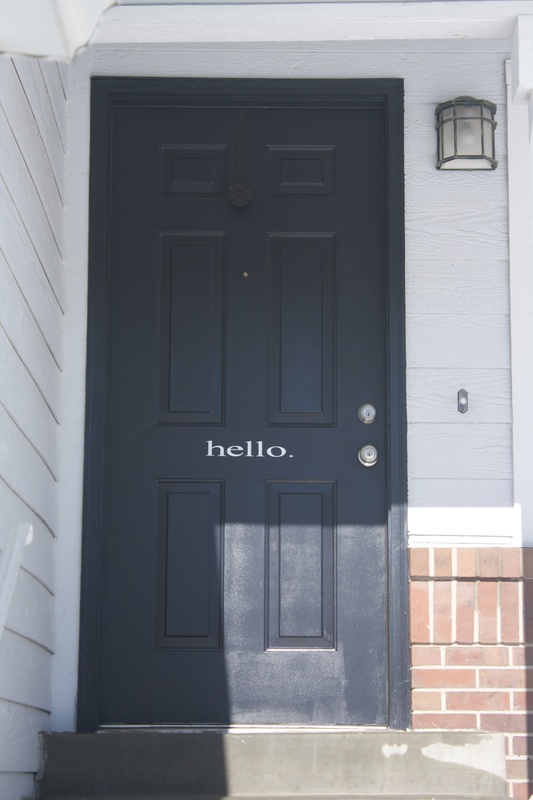 Have you added something to your front door that just makes you smile? A new paint color or perhaps a new wreath? Have you used vinyl decals anywhere in your home? I am thinking of getting number decals for my stairs indoors. What do you think?